While in Florida a few weeks ago, my family stayed in a gated community. An eight foot fence surrounded the area and guards patrolled all night long. I have never thought of myself as a security guard before, but now I'm charged with the task. So what do security guards do? 1. Security guards watch for threats. Temptation is everywhere, so we have to be on our guard. When are you most likely to have a short fuse? Is it at the end of the day when you’re trying to get supper ready and hungry kids are whiny? Try putting Christian music on to set a godly attitude. Or prepare meals ahead of time to alleviate the stress. When are you most likely to waste time? Is it mid-day, after supper or when the kids go to bed? Make a list of things you want to accomplish, or determine to do a devotion during that time. Have the book ready and have a friend who will hold you accountable, or do the devotion with your spouse. A lion watches and waits. The devil is happy to wait, too, until you are weak. 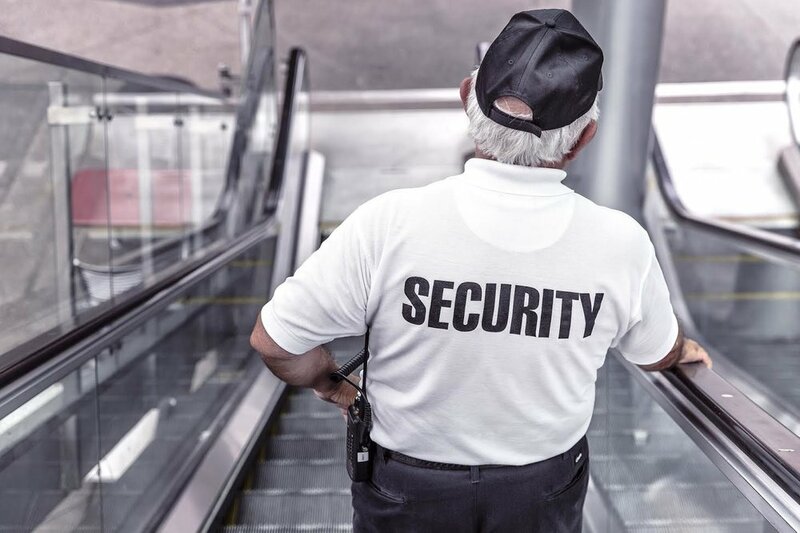 A good security guard plans ahead and evaluates the weakest point to combat threats. If we’re to defeat temptation we will have to do the same, by evaluating when we are weakest and making strides to fortify ourselves during that time. Temptations lure us from our guard, which is why it is so important to take them seriously. 2. Security guards prevent loss. If you were given $100 to keep safe for a friend, do you think that friend would be happy, if when they returned, you gave them $25? We have to guard all of scripture. It’s not enough to just guard the main points. We have to guard even what is hard to defend because it’s not politically or culturally correct. We have to defend even the parts that are hard to understand or keep. We guard them by studying them further and praying for clarity. We guard them by talking about those parts of scripture with trusted Christian friends who can give us ideas as to how to work through them or keep them. And we guard them as we pass them on and explain them to others. 3. Security guards capture enemies. Security guards are armed and ready to face the enemy. At the first hint of mischief they pull out their weapons and run toward, not away, from the enemy. James says, “Resist the devil, and he will flee from you.” (James 4:7) We stand our ground. It’s as simple as saying, “I’m not going to do that” or “you have no power over me” when faced with temptation, physical or mental. At times, it’s important to go to the arsenal to get needed weapons. When my husband feels stressed, he often retreats to our bed, where he prays until he feels equipped to face the situation. Armed with prayer and God’s promises and wrapped in the truth of scripture you have all you need to defeat any temptation. And of course, it’s vital that we remember that we aren’t alone. Paul says to “guard it with the help of the Holy Spirit who lives in us.” He’s the bullet proof vest guarding us as we guard the precious truths entrusted to us. We can’t do this alone. But no worries. We don't have to.